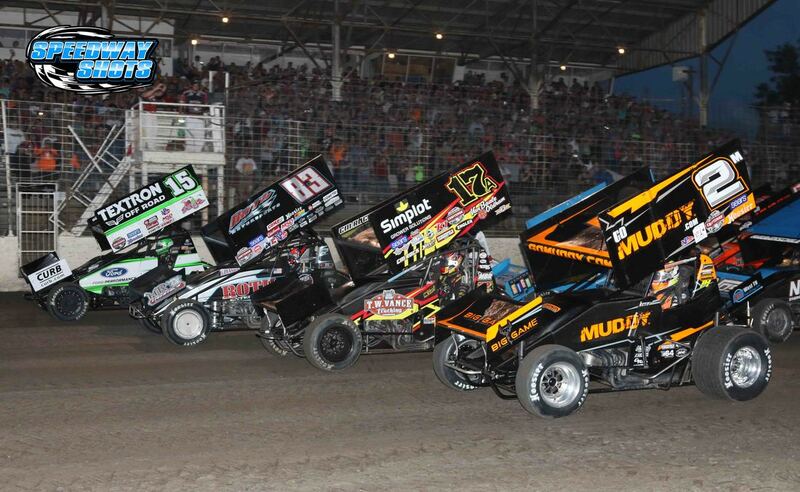 Kasey Kahne Racing drivers, Daryn Pittman (9) and Brad Sweet (49) race side by side during World of Outlaws action in August. Photo by Mike Spieker. 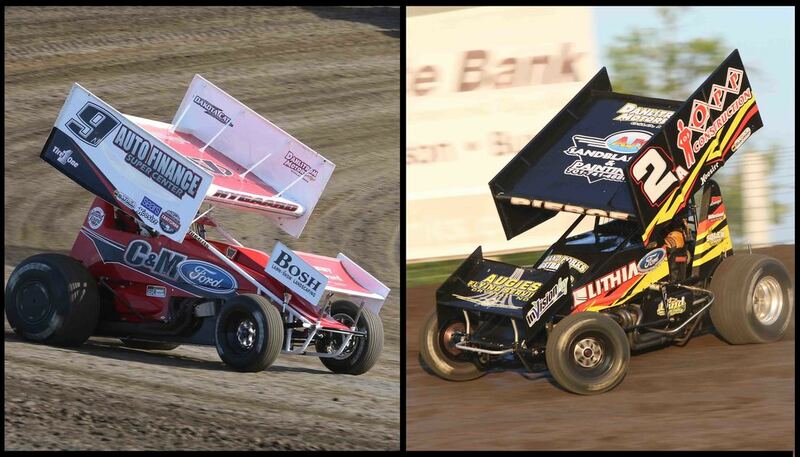 GRAND FORKS, N.D. (December 18, 2018) – Former NASCAR Monster Energy Cup Series star, Kasey Kahne, will be making his first-ever appearance at River Cities Speedway during the World of Outlaws Craftsman Sprint Car Series’ first visit of the season on June 7th. 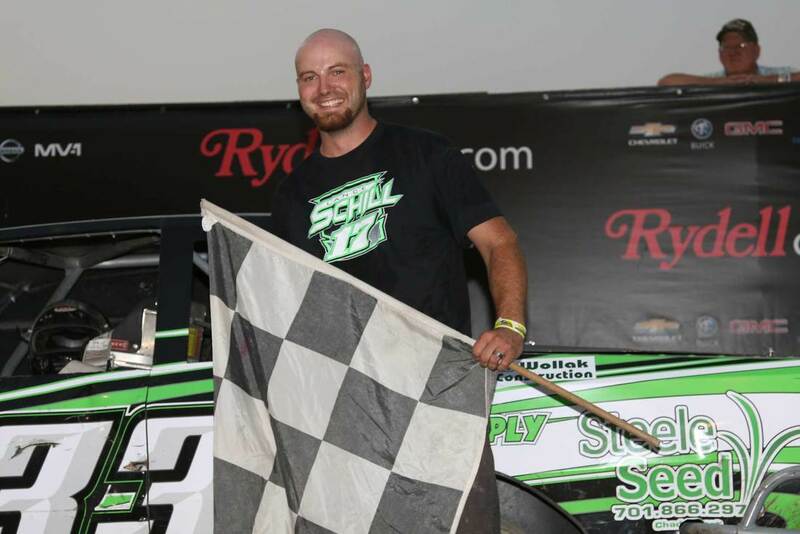 The event is a part of an aggressive 50-plus winged Sprint Car race schedule for the Enumclaw, Washington native. Kahne retired from NASCAR competition in 2018 after a 15-year career that yielded 18 Cup series wins. 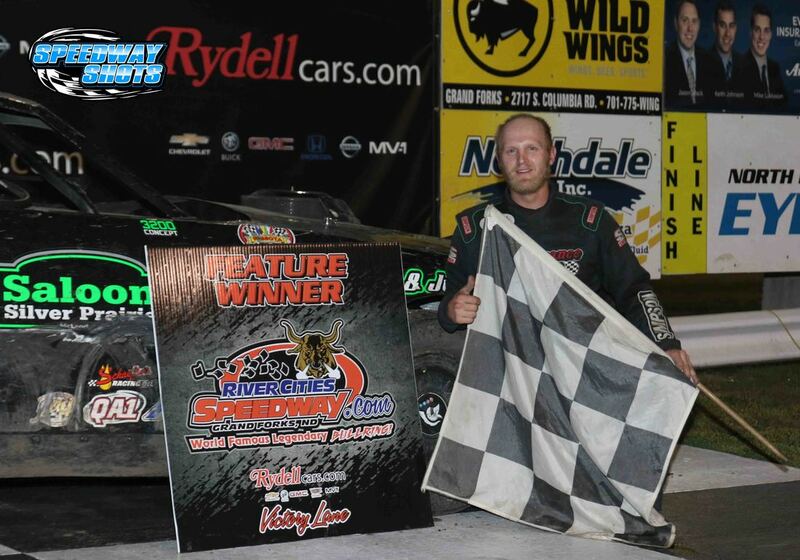 Kasey Kahne Racing (KKR) drivers have claimed three World of Outlaws wins at the Bullring. 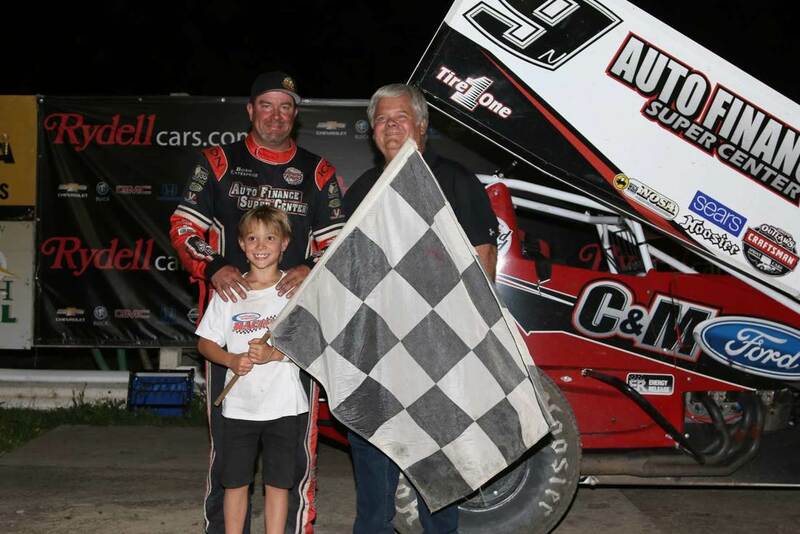 Joey Saldana visited victory lane in the series’ first appearance in 2007 and again in 2010. 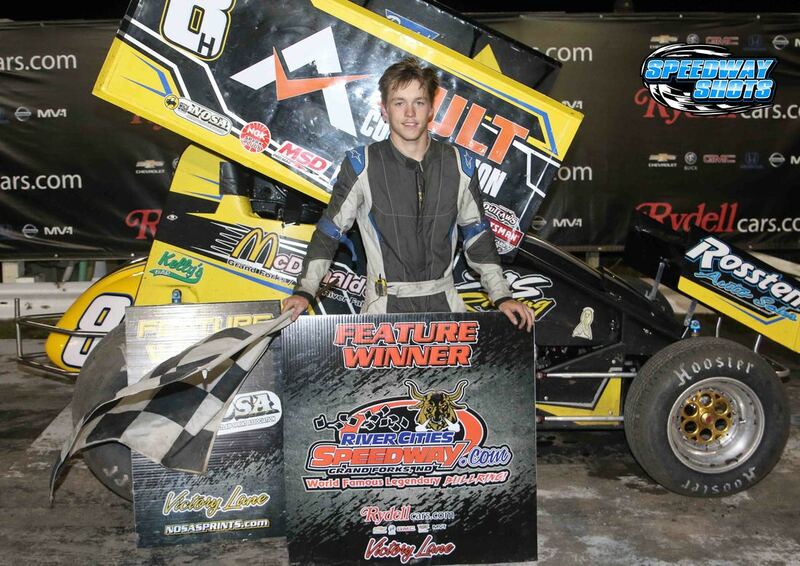 Most recently, Daryn Pittman scored a River Cities Speedway win for KKR in 2014. 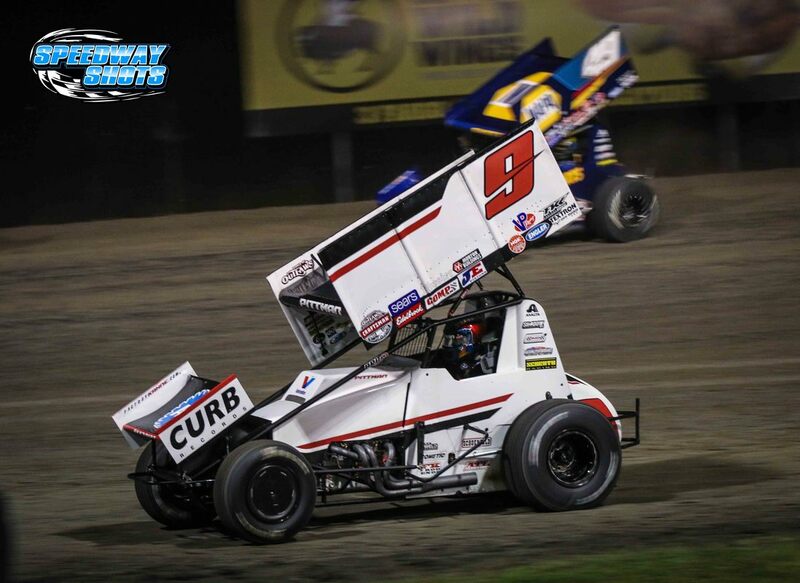 Full-time World of Outlaws driver for KKR, Brad Sweet, will return to the Outlaws tour again in 2019 in his NAPA Auto Parts No. 49 entry. Sweet finished second in the standings in 2018. To view Kahne’s complete 2018 Sprint Car schedule, click here. 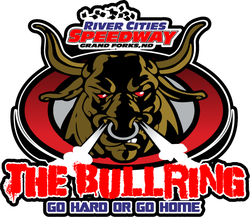 GRAND FORKS, N.D. (December 4, 2018) – The World of Outlaws Craftsman Sprint Car Series will visit the country’s baddest bullring twice in 2019. 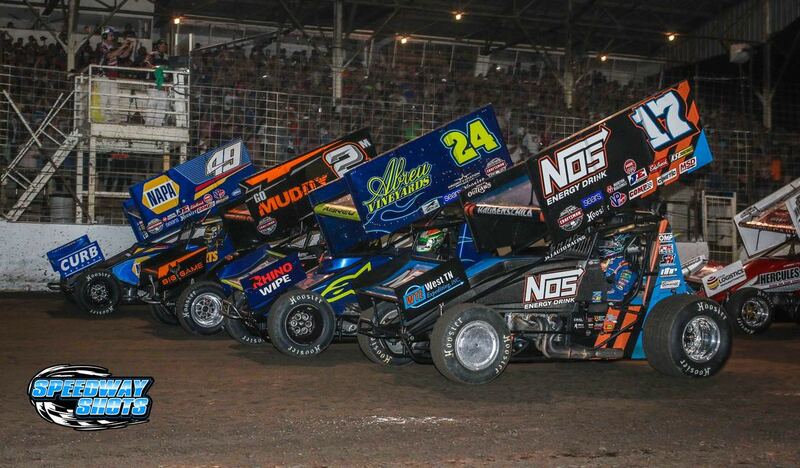 The “Greatest Show on Dirt” will make its first stop at River Cities Speedway on Friday, June 7th for the first leg of the Northern Tour. 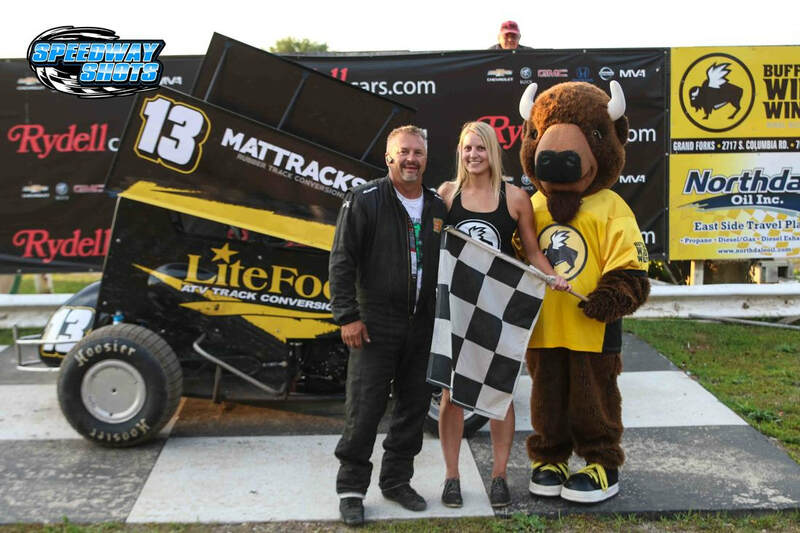 The series will return to Grand Forks following the Knoxville Nationals in Knoxville, Iowa on Friday, August 16th. 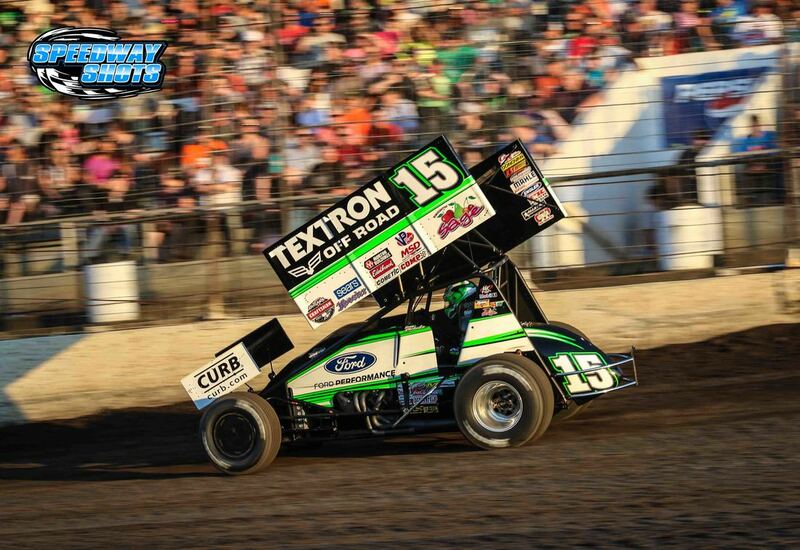 In one of the most memorable World of Outlaws races at River Cities, North Dakota natives Donny Schatz and Mark Dobmeier finished one-two back in August. 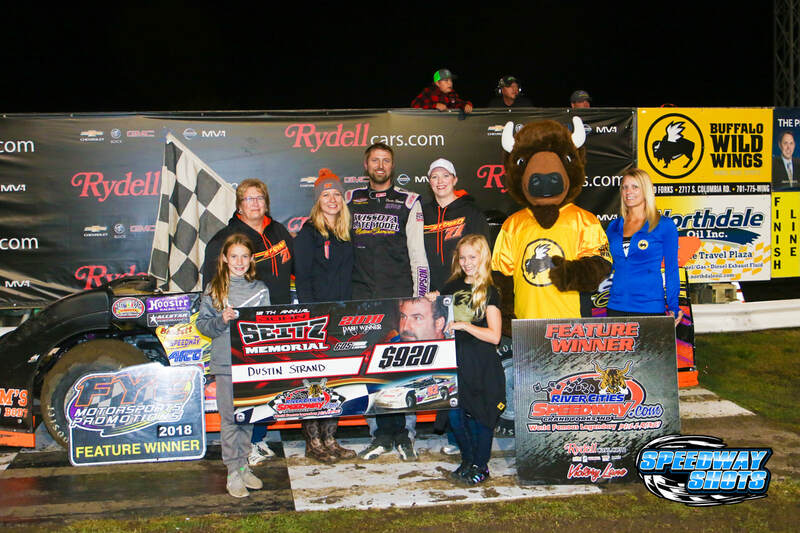 The win for Schatz was his seventh at the three-tenths-mile clay oval in the last eight starts. 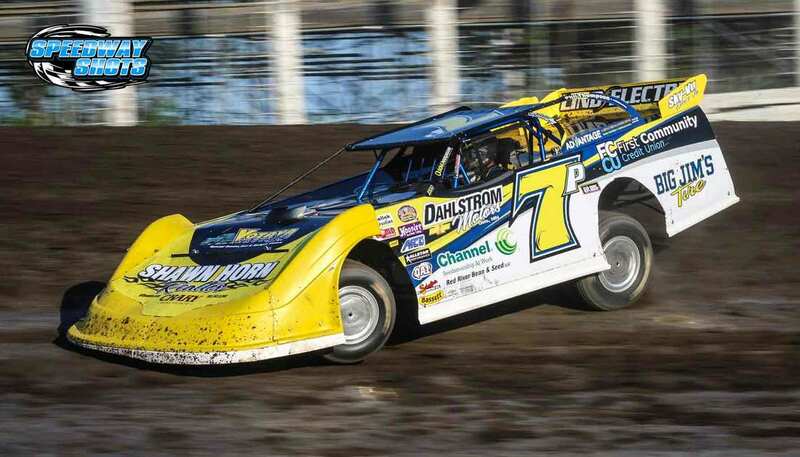 Dobmeier charged his way from the 17th starting position to challenge Schatz in the closing stages before finishing second. 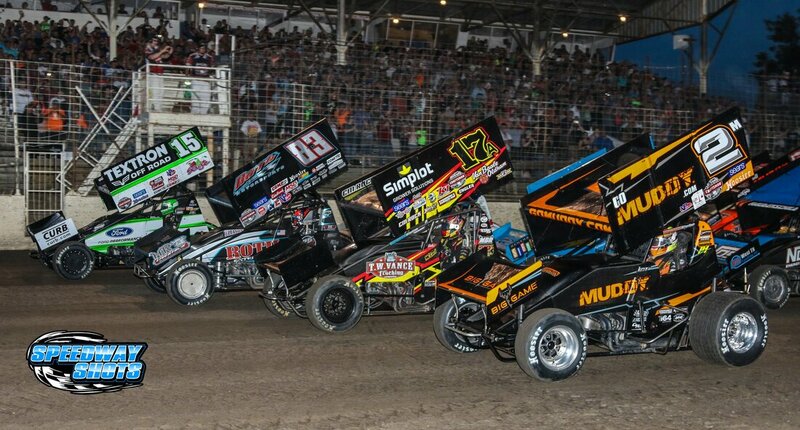 Information on tickets for both the 1st Leg and 2nd Leg of the 2018 Northern Tour for the World of Outlaws Craftsman Sprint Car Series at River Cities Speedway in Grand Forks, N.D., will be available soon at www.slspromotions.com. Mike Marlar pounds the cushion during World of Outlaws time trials at River Cities in 2018. Photo by Mike Spieker. 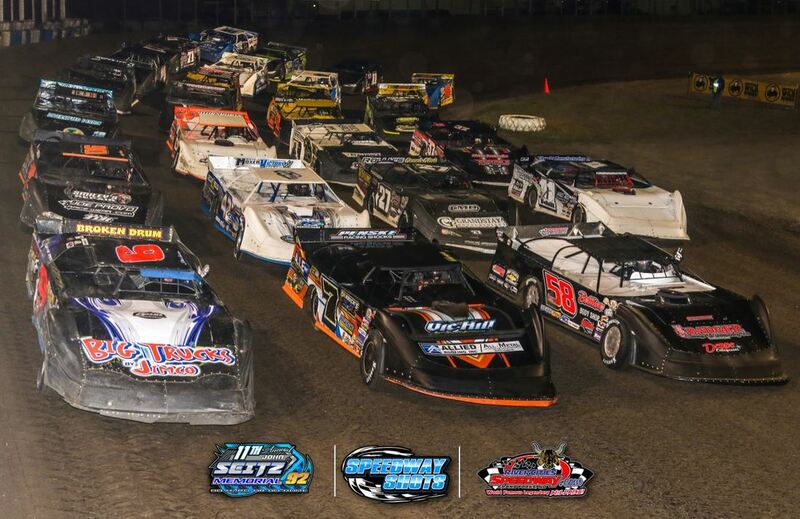 GRAND FORKS, N.D. (December 4, 2018) – For the 14th consecutive season, the World of Outlaws Craftsman Late Model Series will make a stop at River Cities Speedway. In the 11 completed events at River Cities, there have been eight different World of Outlaws Craftsman Late Model winners. 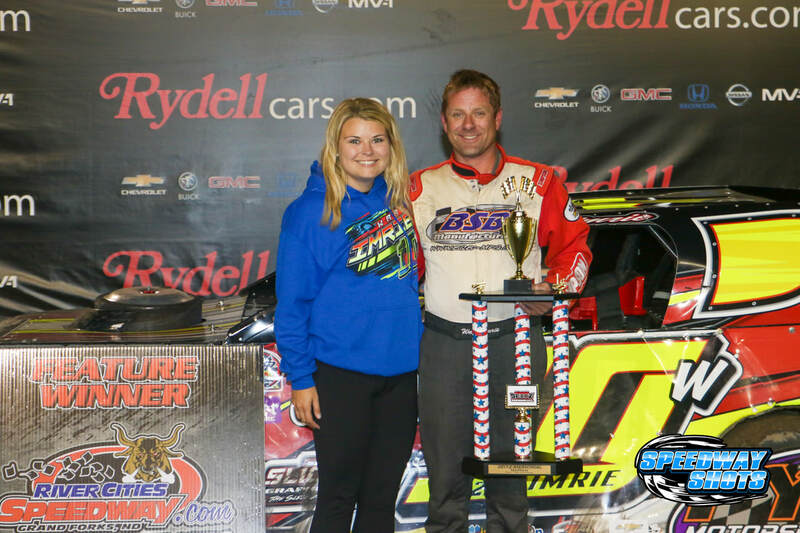 Most recently, 2018 World of Outlaws champion, Mike Marlar, visited RydellCars.com victory lane at the Bullring for the first time in his career. 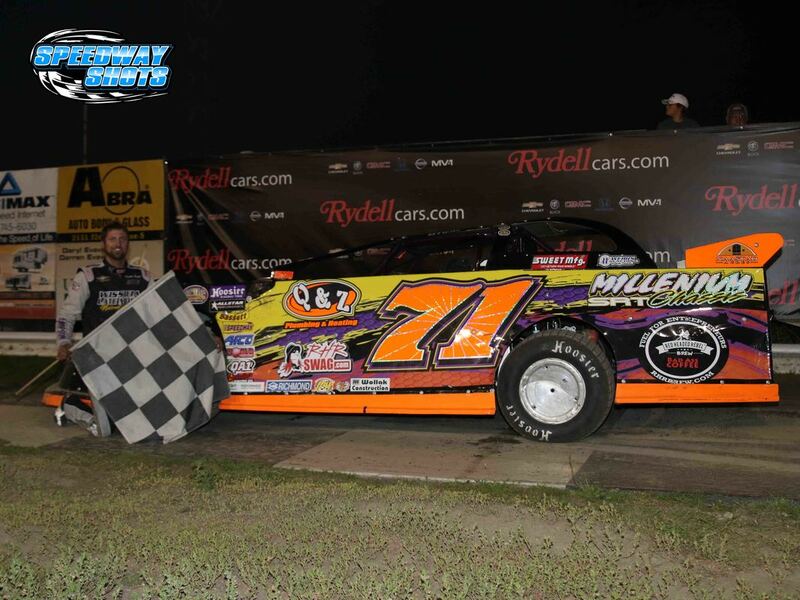 Marlar took the point on lap 22 from two-time NLRA champion, Ricky Weiss before taking the checkers. The event is slated for Friday, July 12th. Stay tuned to rivercitiesspeedway.com for ticket and event information. Wade Nygaard (9N) & Austin Pierce (2A). Mike Spieker photo. 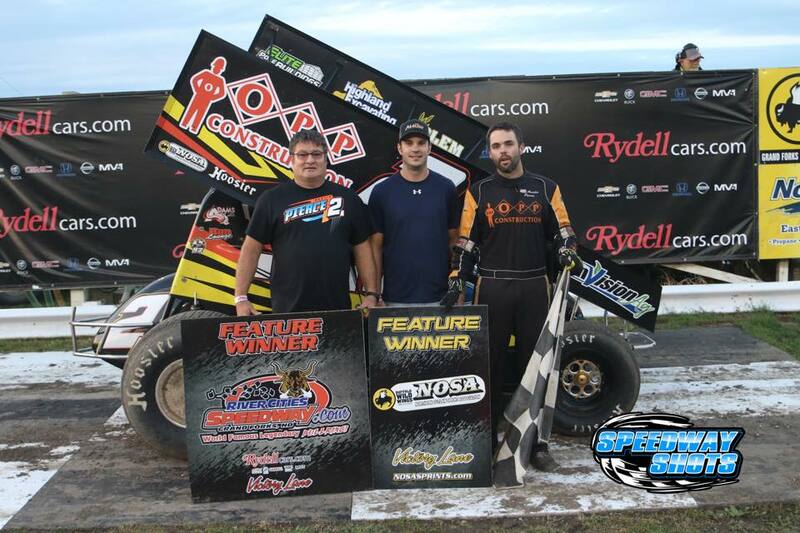 GRAND FORKS, N.D. (September 17, 2018) – The River Cities Speedway 410 Sprint Car points race has been a tight one all year long. 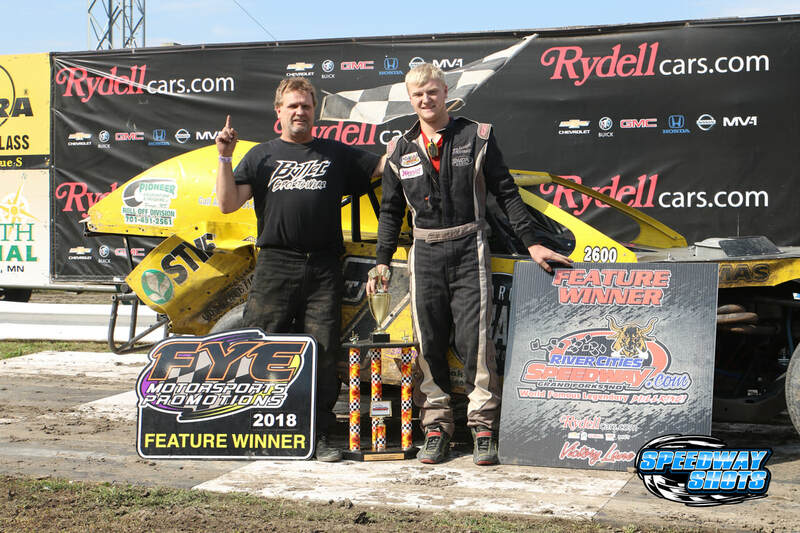 Entering Friday’s season finale at the Grand Forks three-tenths mile dirt oval, Nygaard and Pierce were separated by just five points with Nygaard having the advantage. 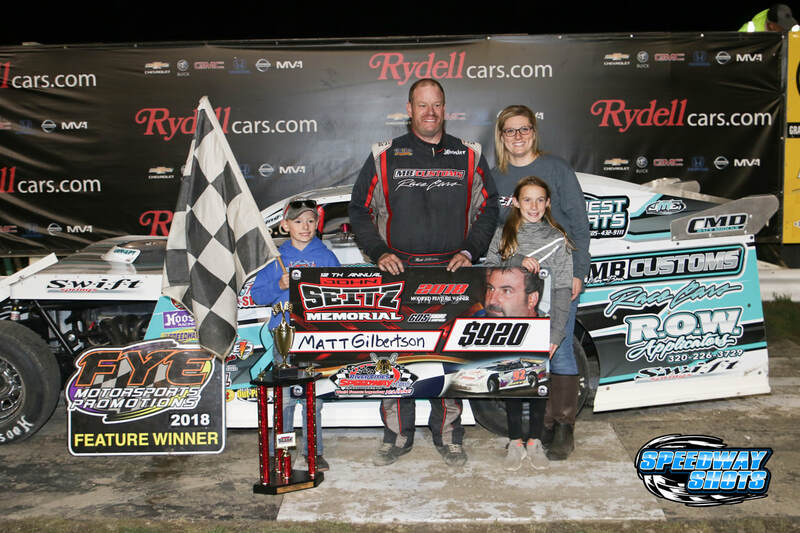 GRAND FORKS, N.D. (September 9, 2018) – For the second time in three years, the River Cities Speedway Late Model track record was set during the John Seitz Memorial. 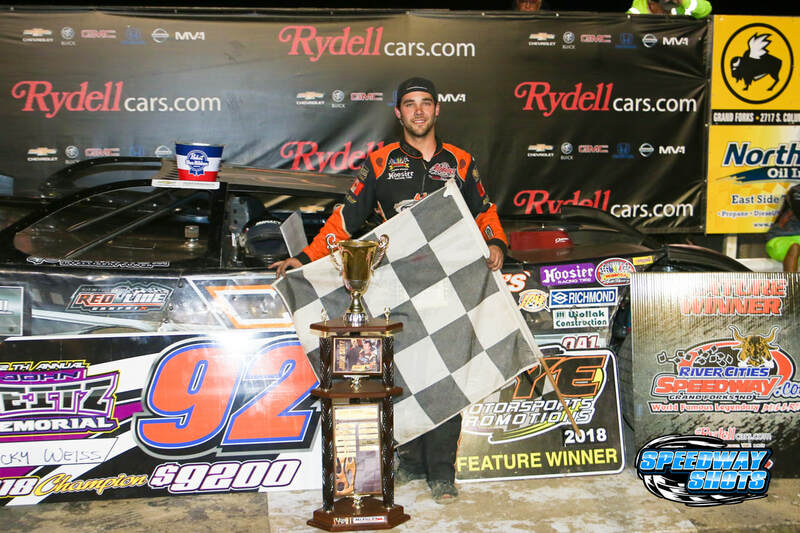 In 2016, Dustin Strand set the track record during the Prelude to the Johnny. 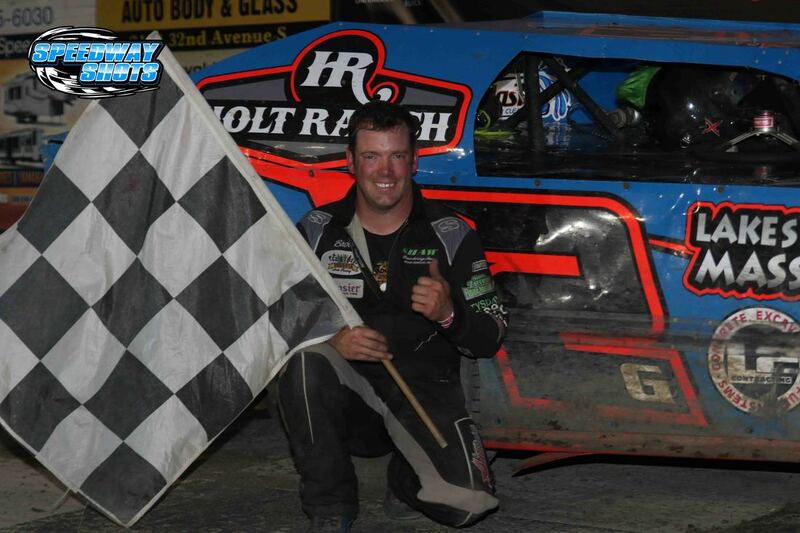 On Friday night, Joey Pederson broke the record during heat race competition. Pederson ran a lap of 11.255 seconds around the high-banked three-tenths mile bullring, averaging 95.957mph. 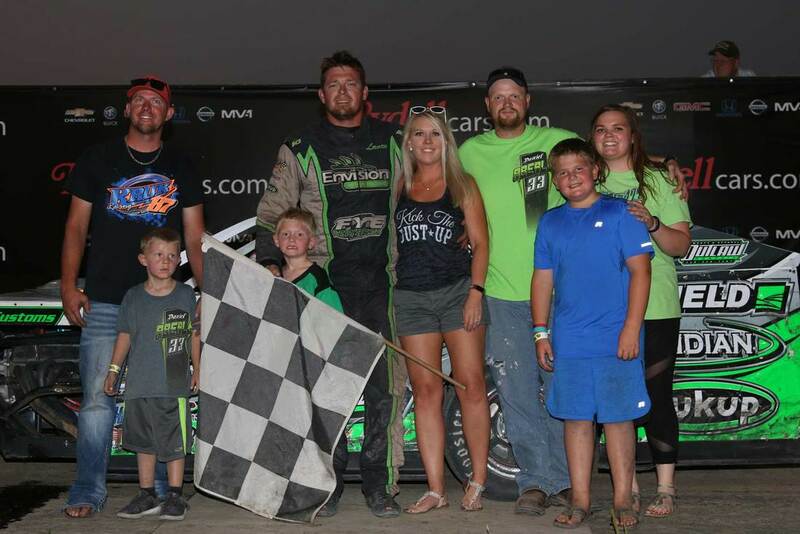 The previous track record was established by Mike Marlar on July 14, 2017 during the World of Outlaws Craftsman Late Model event. 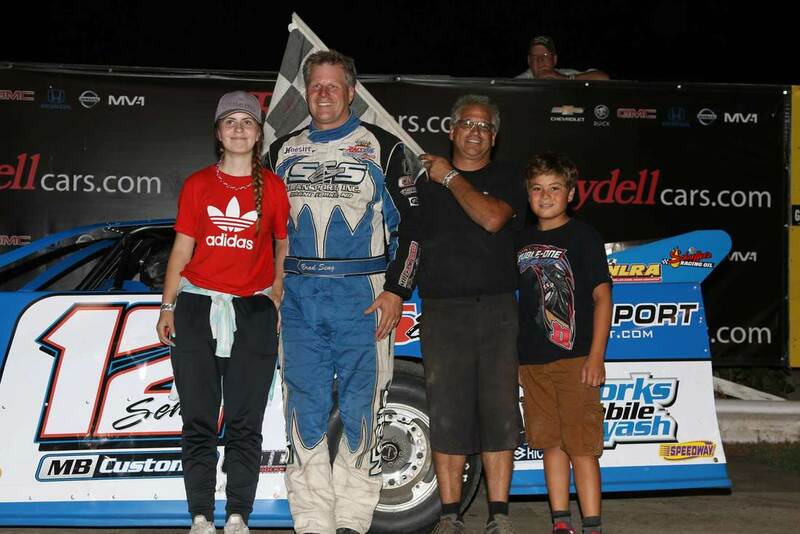 Pederson was the only driver on Friday night under Marlar's record. Pederson went on to finish fifth in the 92-lap John Seitz Memorial A-main. 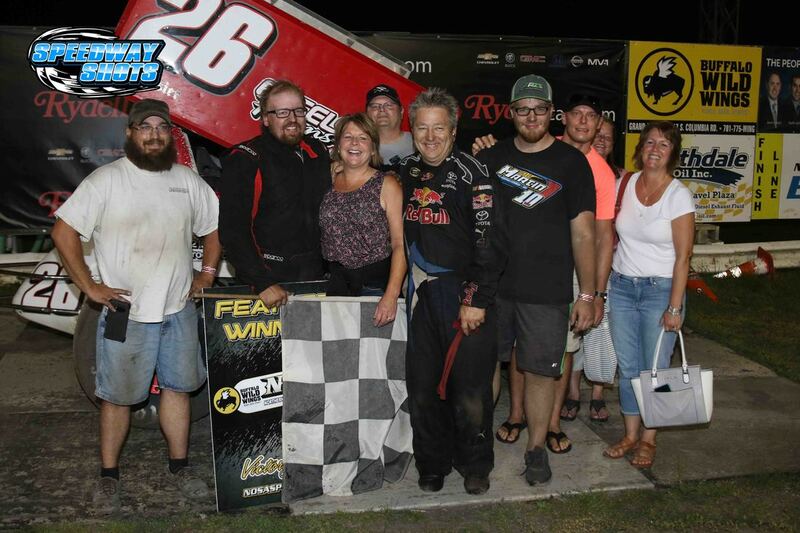 GRAND FORKS, N.D. (September 8, 2018) – Ricky Weiss held off defending champion, Don Shaw, for his first career John Seitz Memorial title Saturday night at River Cities Speedway. 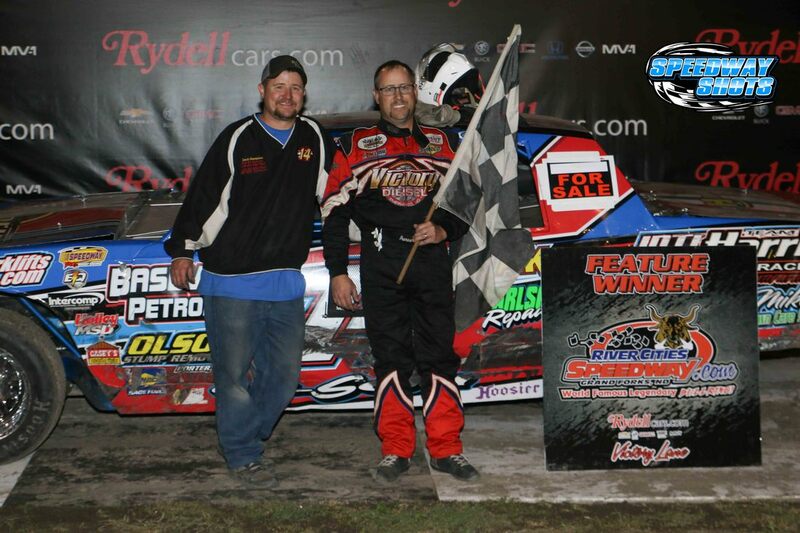 Weiss made the winning pass for the lead on lap 68 over AJ Diemel in the 92-lap, $9,200-to-win main event. 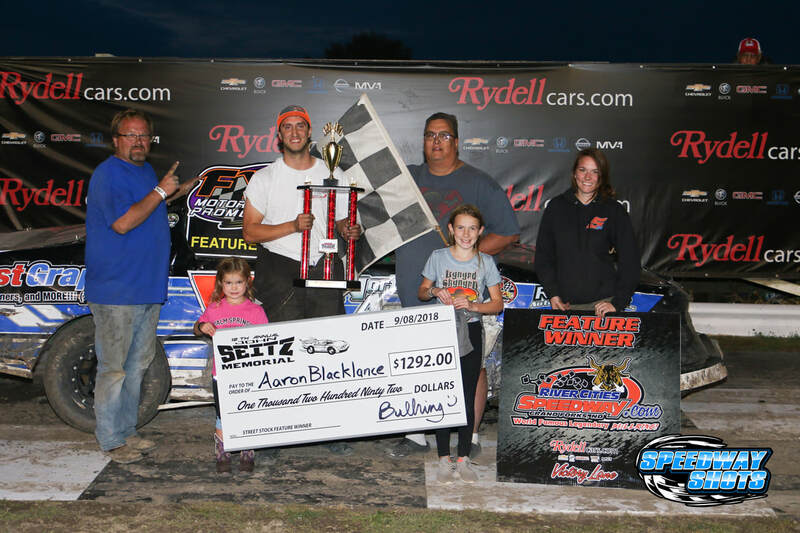 GRAND FORKS, N.D. (September 8, 2018) – The 12th edition of the John Seitz Memorial at River Cities Speedway came to a close Saturday night with B-mains and features for the WISSOTA Street Stocks and Midwest Mods and a complete show for the WISSOTA Modifieds. 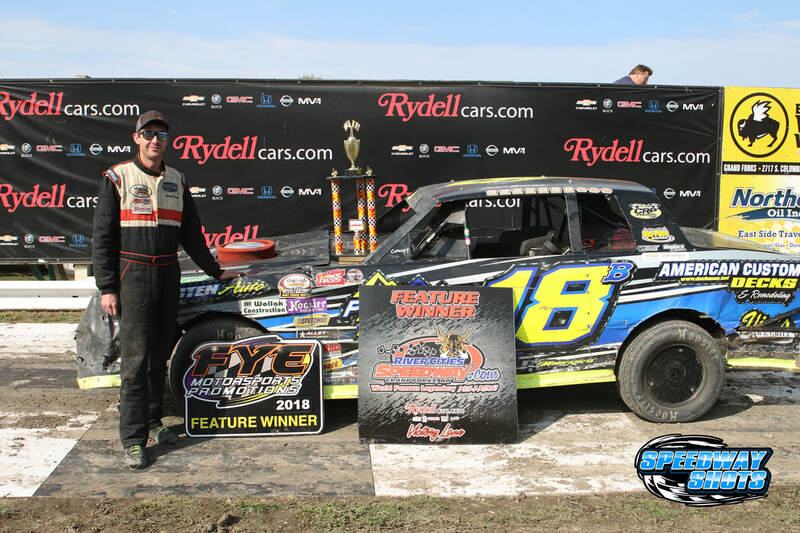 GRAND FORKS, N.D. (September 9, 2018) – After rain washed out Thursday night’s program, the Prelude to the Johnny became the interlude as it was run on Saturday afternoon ahead of the John Seitz Memorial finale Saturday night. 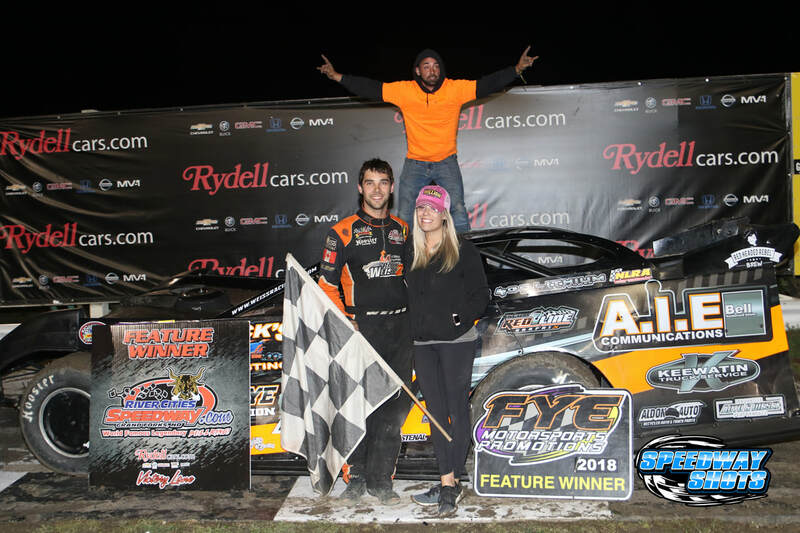 GRAND FORKS, N.D. (September 7, 2018) – Night one of the 2018 John Seitz Memorial kicked off Friday night at River Cities Speedway with heat races and the Go Hard or Go Home Pole Dash for the Late Models, a complete show for the Modifieds, the Buffalo Wild Wings Blazin’ Challenge for the NOSA Sprints and heat races for the Midwest Mods and Street Stocks. As of 6:45pm, tonight's Prelude to the Johnny here at the River Cities Speedway has been postponed due to weather. Friday nights program will be run as scheduled for Late Models, Modifieds, Sprint Cars, Midwest Modifieds and Street Stocks (draw cutoff and hot laps at 6pm with racing at 7pm). 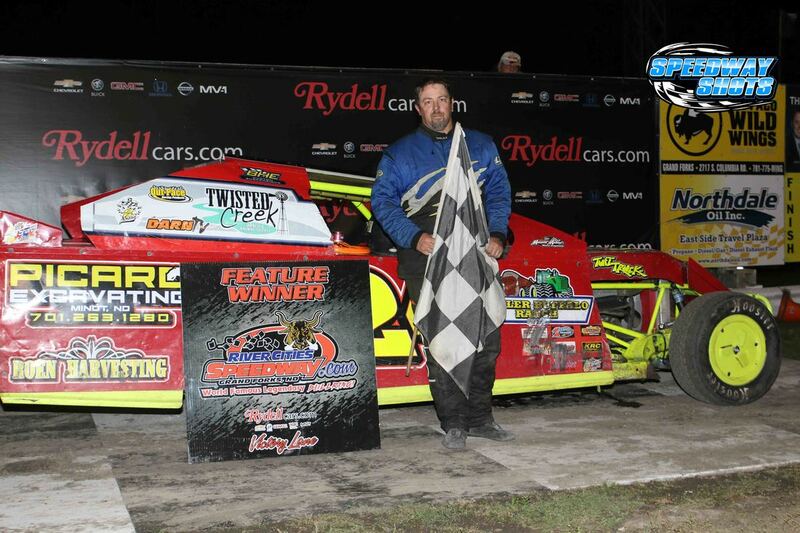 Plus, the 2 make up features (Midwest Mods and Late Models) will be run after the completion of Friday nights show. Thursday night's rained out program for Late Models, Midwest Modifieds and Street Stocks will be run on Saturday afternoon (hot laps at 11am, racing at noon). Then, Saturday night's program will be run as planned (racing at 6pm). 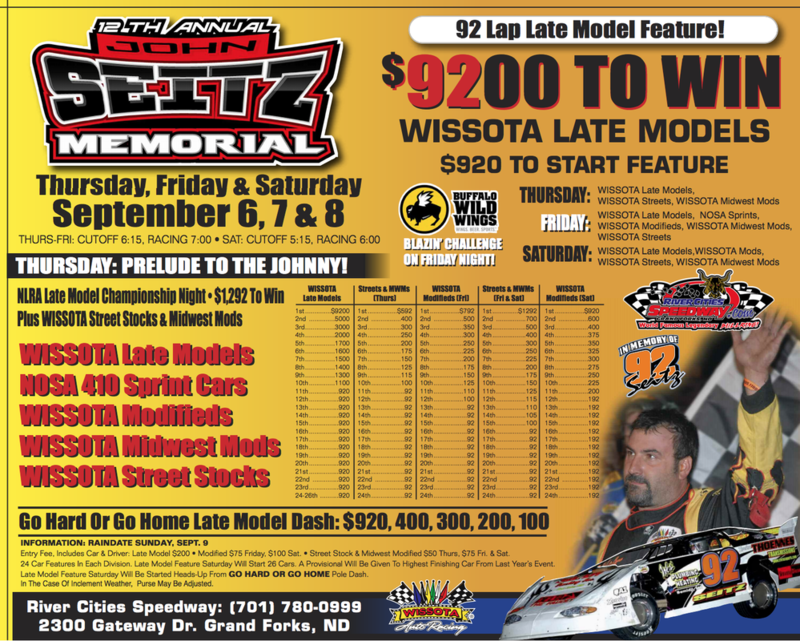 Here is a brief snapshot of what divisions will be racing each night of the 12th annual John Seitz Memorial and some increases to each division’s payout over the course of the event. 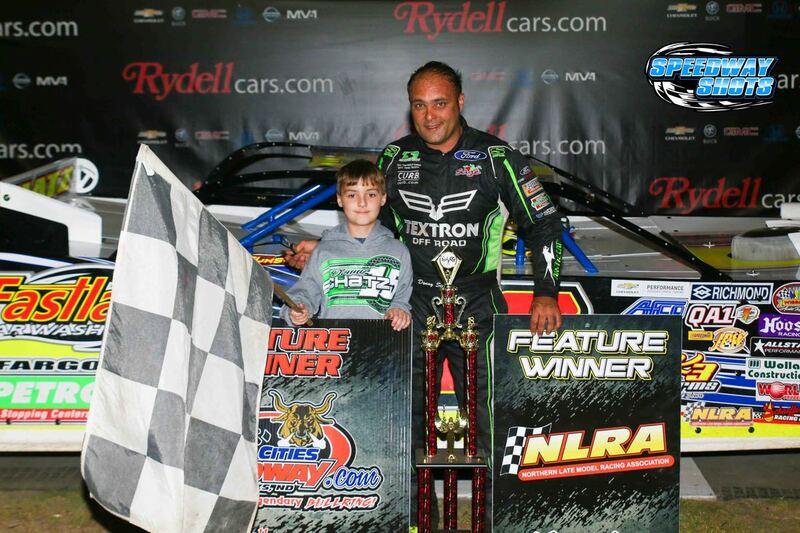 GRAND FORKS, N.D. (August 17, 2018) – Donny Schatz picked up his second NLRA Late Model win of the 2018 season Friday night at River Cities Speedway in front of a capacity crowd. 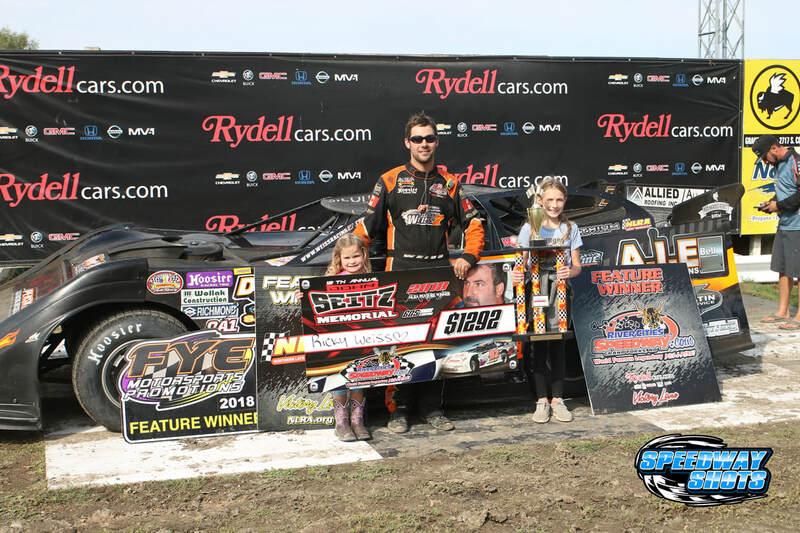 Schatz, who most recently won with the NLRA Late Models at Nodak Speedway in Minot, started on the outside of the front row before collecting his seventh career win with the series. 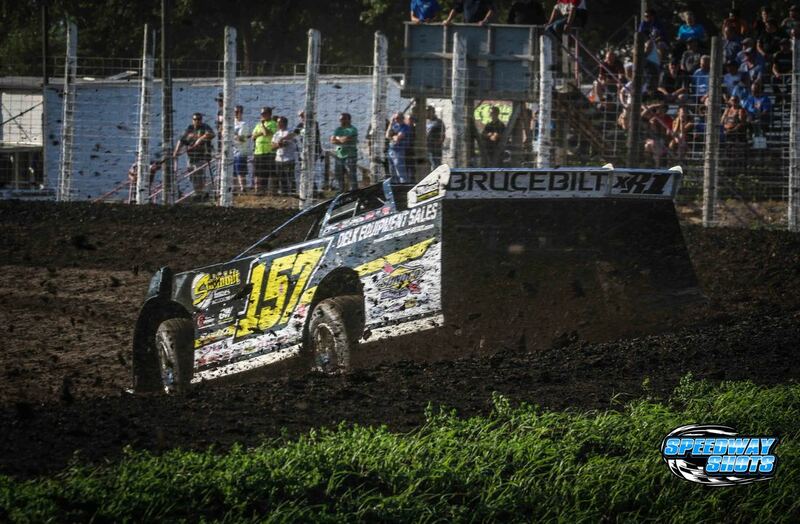 GRAND FORKS, N.D. (August 17, 2018) – For the third time in his career, Donny Schatz swept both the World of Outlaws Craftsman Sprint Car Series and Northern Late Model Racing Association feature events on the same night at River Cities Speedway. 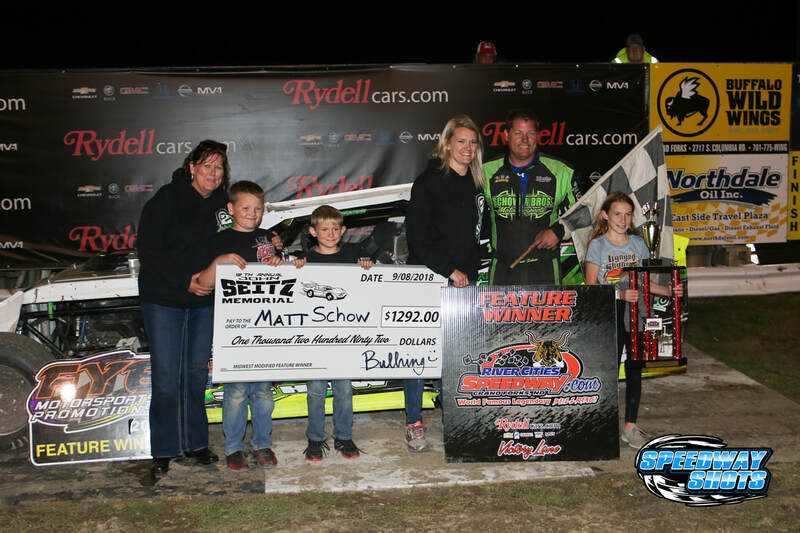 The wins for Schatz were his 16th of the year with the Outlaws and second of the year with the NLRA. David Gravel rounds turn two during the World of Outlaws show in June. Photo by Mike Spieker (Speedway-Shots.com). 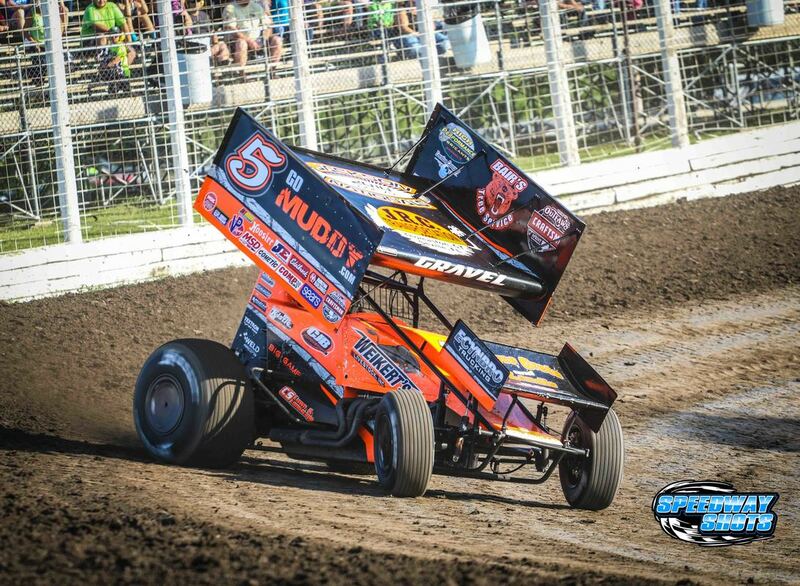 GRAND FORKS, N.D. — August 15, 2018 — David Gravel accomplished a feat in June of 2017 at River Cities Speedway in Grand Forks, N.D., that no driver had been able to do since 2014 and that was to defeat Donny Schatz at the high-banked bullring. At the time, Gravel snapped what was a five-race win streak for the nine-time series champion. 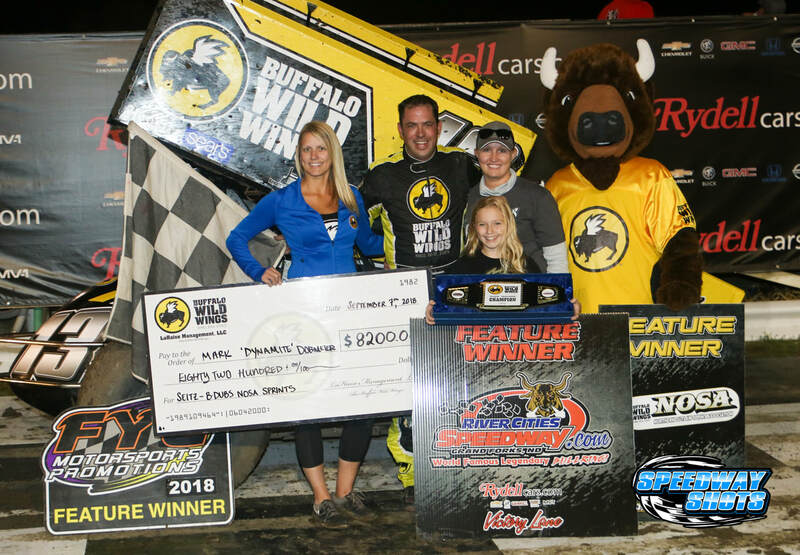 In order to pick up a second-career win at the track, the young driver will have to break another Schatz win streak, which is currently at two at the high-banked bullring. Donny Schatz passes in front of the capacity crowd during the World of Outlaws event in June. Photo by Mike Spieker (Speedway-Shots.com). 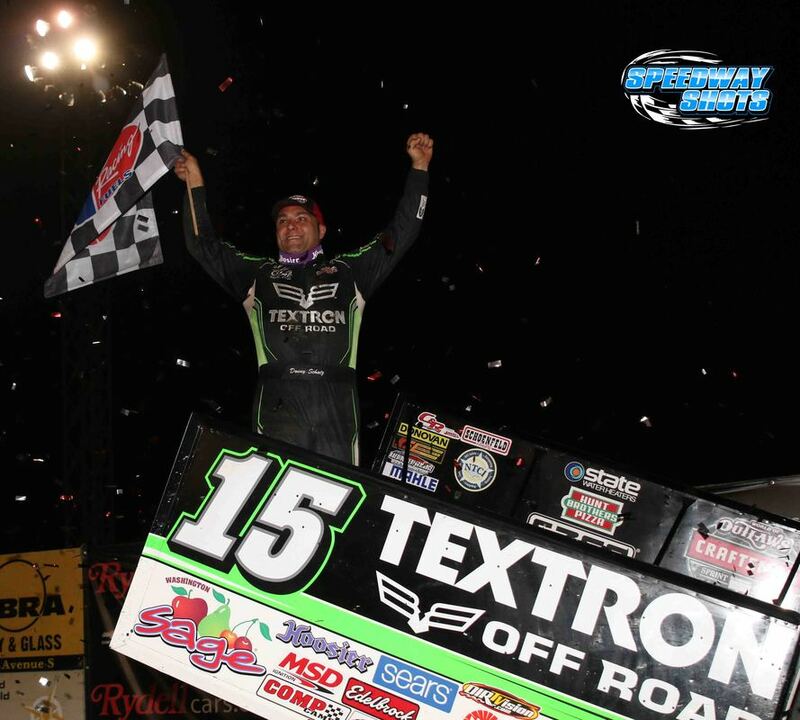 GRAND FORKS, N.D. — August 13, 2018 — The 2nd Leg of the Gerdau Recycling Northern Tour for the World of Outlaws Craftsman Sprint Car Series takes to the track onFriday, August 17 at River Cities Speedway in Grand Forks, N.D. Donny Schatz was victorious in the 1st Leg of the Northern Tour in June, which marked his sixth win in the last seven World of Outlaws races at the track and 10th overall, which leads all drivers. Also in action will be the NLRA Late Model Series. 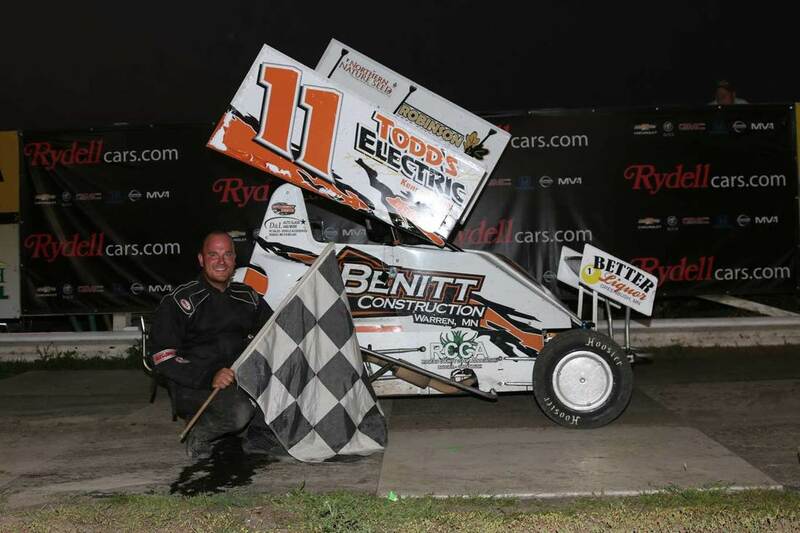 This edition of Up to Speed sets the stage for 2nd Leg of the 2018 Gerdau Recycling Northern Tour for the World of Outlaws Craftsman Sprint Car Series. Photo by Mike Spieker (Speedway-Shots.com). 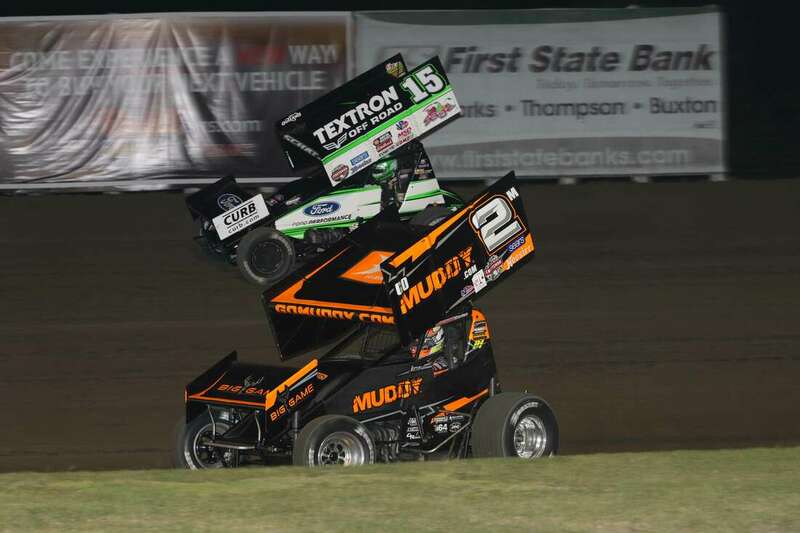 ​GRAND FORKS, N.D. — August 8, 2018 — The World of Outlaws Craftsman Sprint Car Series returns to River Cities Speedway in Grand Forks, N.D., on Friday, August 17for their second and final visit of the season with the running of the 2nd Leg of the Gerdau Recycling Northern Tour.